ASSET is proud to have supported the confident and capable Dorcas M in completing her bachelor’s degree in accounting. Thanks to the hard work and support of her mother and extended family, Dorcas was able to complete secondary education even after her father passed away. However, finances were always a challenge to her education, and she was only able to enroll in higher education after an uncle loaned her money. Thankfully, ASSET was able to step in to support Dorcas through the rest of her accounting program, which she describes as the biggest miracle she’s had thus far in her life. At first, her family didn’t believe that such a scholarship existed. Dorcas herself recalls feeling impressed that people actually care enough to give money for such a scholarship; her gratitude is unending. As the first in her family to attend university, everyone looks up to her. She explains that this is also a great responsibility, because “you’re everyone’s candle, and you have to keep that candle lit at all times.” As a result, with the support from ASSET, Dorcas automatically learned to be a leader and to be exemplary in all she does. 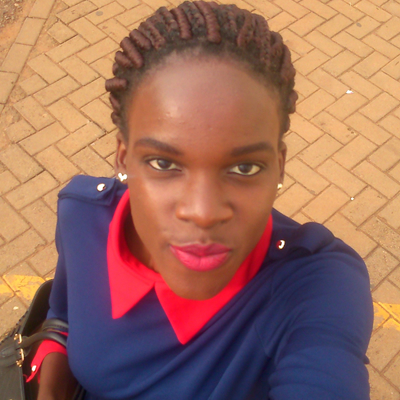 Dorcas graduated in February 2017 and her thirst for excellence is apparent in her career aspirations as well. She has completed two internships to date and was involved in training at KSK Associates, a Ugandan financial consulting firm, until May 2017. Dorcas says she is now preparing for her accounting certification (ACCA) exam in Sept 2017 and will be applying for job opportunities in several organizations. She dreams one day of working with the UN, and also hopes to use her skills to contribute to improvements within the Ministry of Health in Uganda. The ASSET team admires Dorcas’ confidence and her desire to invest in her community. We are proud of her many accomplishments and invite you join us in wishing her continued success! Please help us continue this work. Email us at admin@assetuganda.org to learn more. First to graduate in family – Lydia N.